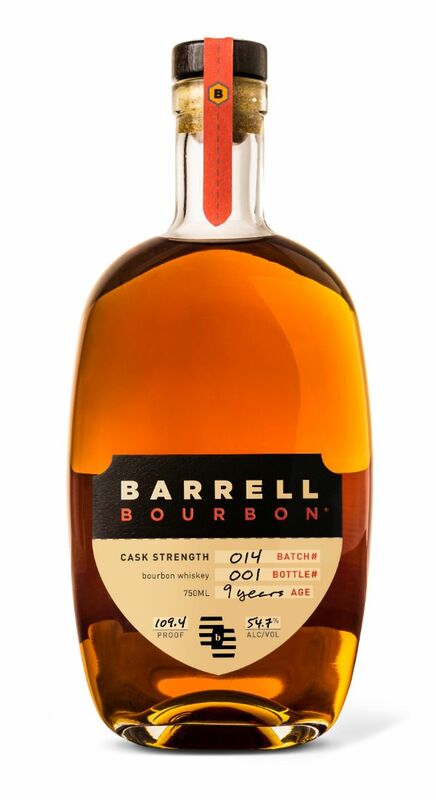 After we blended Barrell Bourbon Batch 012, we saved a portion to use as the base for Barrell Bourbon Batch 014. We then selected additional 9 year-old bourbon barrels for their fruit notes, as well as a number of 14 year-old high rye barrels to deliver a bit of spice and oak. The result is complex and thoughtful – a nicely balanced spicy bourbon. Appearance: Rose gold with a light copper center. Nose: A delicate balance of spirit-driven dried fruit, including fig, cranberry, apple, and raisin, with oak-driven baking spices of cinnamon and chai tea. This is underpinned by deeper, grain-driven notes of whole wheat sourdough. Palate: Opens on honey, apricot, white tea, and marigold, with delicately bitter notes of tulsi. This is balanced with soft, crushed almond, maple syrup, and oyster mushroom. Finish: Brings candied cherry, cinnamon and angostura bitters, like the last sip of a beautifully balanced Manhattan. With a few drops of limestone water: The floral aromas develop further complexity of jasmine flowers, and the fruit jumps out on the palate, introducing muscat grape, trending toward lychee. A strong tobacco note emerges in the finish, making the mouth water for another sip.